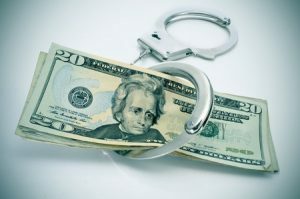 Bail bonds can vary in amount depending on the crime. In a majority of average cases, the amount of a bail bond can be set at $10,000 or higher. In higher profile cases, bail can reach $1 million or more. There are various cases where the bail prices have reached unimaginable amounts. The following people had the most expensive bail bonds in the world! First up is from American business tycoon, Michael Milken. After being accused of 98 counts of racketeering and security fraud in the Wall Street Case in 1989, Milken had his bail set at $250 million. Later he was found guilty and although he was sentenced to ten years, he served less than two years in prison. The billionaire hailing from Britain, Meinl was suspected to be involved in secret buybacks of shares which were linked to his European Land Company. He was arrested in 2009 and his bail was set at a staggering amount of $133 million, which he later posted and was released. A southern California native who was accused of selling all-terrain vehicles without a smog certificate and after an extensive investigation, he was arrested, but able to post the bail that was set at $100 million. Mr. Ma had his partner along side helping him operating the fraudulent business. Mrs. Ma was also found guilty and had her bail set $75 million, which was paid. So between Mr. and Mrs. Kening Ma, they paid the astronomical amount of $175 million. He became well-known after his name appeared as being involved with the $50 billion Ponzi scheme. His bail was set at $10 million. Although he may have had the available funds to pay that amount, he couldn’t find anyone to co-sign for the bond. These amounts are unfathomable to most people, but it can happen depending on the severity of the time. So if you find yourself in need of bail bonding services, whether it’s for $10,000 or $100,000, be sure to contact ATX Bail Bonds at 512-834-2245.